Like hydropower, wind power has a long and successful history. The earliest known record is from Hero of Alexandria who described a wind machine in the first century ad. The next recorded appearance is in Arabic texts of the ninth century which refer to a seventh century design. Windmills soon spread from the Middle East into Europe. Post mills, in which the whole mill apparatus was mounted on a post so that it could be rotated into the wind, were known in France and England by the twelfth century. Tower mills, where only the top part of the windmill carrying the sails rotated, were introduced around the fourteenth century in France. The industrial revolution brought refinements to windmill design but the number of mills began to decline with the advent of steam power. Even so there were still heavy concentrations of traditional mills in the Netherlands, where the Zaan district still boasted 900 windmills in the nineteenth century. 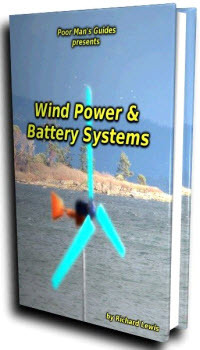 A new use for wind power developed with the invention of the wind pump, first used extensively among farmers in the USA. From the middle of the nineteenth century onwards, the classic lattice metal tower carrying a rotor with petal-shaped iron vanes crossed America and then travelled the world. During the early part of the twentieth century there were several important experiments with the use of the wind to generate electricity, particularly in the USA and in Denmark. These failed to attract widespread attention. Finally, it was during the oil crisis of the early 1970s that modern interest in wind turbines took form. The main centres of development were the USA, particularly California, and Denmark. 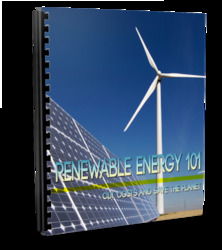 From this period the basic wind energy conversion system for power generation has gradually taken shape. Today the basic system starts with a large rotor comprising two, three or four blades mounted on a horizontal shaft at the top of a tall tower. The blades intersect the wind and capture the energy it contains, energy which causes them to rotate in a vertical plane about the shaft axis. The slow rotation of the shaft is normally increased by use of a gearbox, from which the rotational motion is delivered to a generator. The electrical output from the generator is then taken through cables down the turbine tower to a substation where the power is eventually fed into the electricity grid. The mechanical components at the top of the turbine tower - the rotor, gearbox and generator - are all mounted on a platform that can pivot, or yaw, about a vertical axis so that the rotor shaft is always aligned with the wind direction. Gearbox and generator and housed within a weather tight compartment called a nacelle.